Give a unique greeting card that will last as long as the heartfelt declaration it bears. Made in the USA from sustainably harvested alder wood, each one is equal parts card and keepsake. 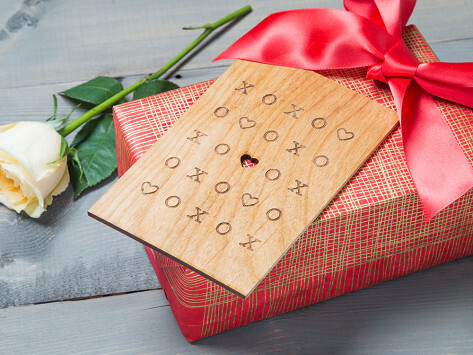 Designs are laser cut into the wood, which can also be personalized with a permanent marker. The result is décor-worthy sentiments that can be kept and displayed for years. Dimensions: 4" x 6 "x 0.13"
I purchased this to use as a Valentine's Day card for my husband. He's a wood-carving hobbyist and was very impressed with the quality and design. found at THE GROMMET! keep it up !!! A very warm and thoughtful gift idea! Very high quality and a great gift idea. While traveling through Asia, Maker Yvonne Leung noticed artists using pieces of wood as their canvases. 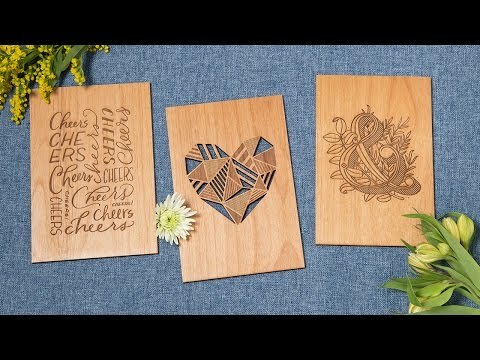 She was inspired to create her unique greeting cards out of wood. When Yvonne returned home to Southern California, she taught herself to use a laser etcher. After a round of crowdfunding—and quitting her day job—Cardtorial was born. The cards are made in Yvonne’s L.A. studio with alder wood that is sustainably harvested here in the U.S. Greetings, well wishes, and heartfelt sentiments are cut into the wood, which can be personalized with a fine tip permanent marker. Yvonne keeps the finish simple to balance the wood’s light color and natural grain with her carefully etched designs. The finished result is a décor-worthy keepsake that can be popped in the mail or presented in person. Either way, it is sure to be treasured for years.